Artist Gregory Sale brings together a multitude of individuals implicated in and working with the criminal justice system. His long-term large-scale project, It’s not just black and white (2011) at Arizona State University Art Museum, consciously wrestled with the visual motifs (striped uniforms, pink underwear, chain gangs) of sheriff Joe Arpaio, while considering the cultural, social and personal issues at stake in the day-to-day workings of the criminal justice system. Working nationally, his projects organize frameworks for individuals directly affected by the system, connecting them with communities and initiating discourse around charged social problems. Teaching classes within the system has afforded Sale opportunities to work with men sentenced as juveniles to life without parole (Life is Life, 2011) in Pennsylvania and others on death row (Love is Love, 2013) in Tennessee. Sale is now undertaking a series of projects focused on the challenges of individuals reentering society after incarceration. In 2015, he became an embedded artist with the Anti-Recidivism Coalition in Los Angeles and debuted Rap Sheet to Resume, a workshop and social practice project, for the Urban Justice Center in New York City. 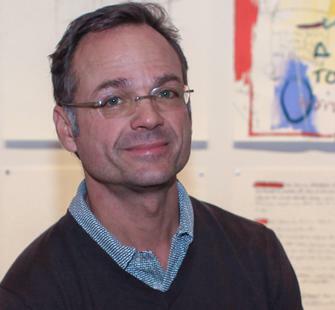 His projects have been supported by Creative Capital, Art Matters, SPArt (Social Practice Art), and Andy Warhol Foundation for the Visual Arts. Sale has participated in residencies at Headlands Center for the Arts, Montalvo Arts Center, MacDowell Colony, Yaddo, Ucross, Virginia Center for Creative and Centre d'Art Marnay Art Centre. He is Assistant Professor of Intermedia and Public Practice at Arizona State University, School of Art.